Japanese style pasta dishes are not only popular in Japan but also in other parts of the world. However, many people do not have any idea about what the Japanese pasta is. It is not Udon, no Soba, not Ramen, but simple Italian pasta prepared with Japanese ingredients and flavours. Italian food is quite popular in Japan and some people even think that Japan has the best Italian food outside of Italy. When Italian food got introduced in Japan during the post war era, Italian style pasta was the main dish to be served. During the 70s, Japanese people started experimenting by adding home grown ingredients and flavours. These days, Japanese style pasta also called as Wafuu Pasta has grown in popularity around the country. In Japan, several people like to eat this pasta at their homes or restaurants. 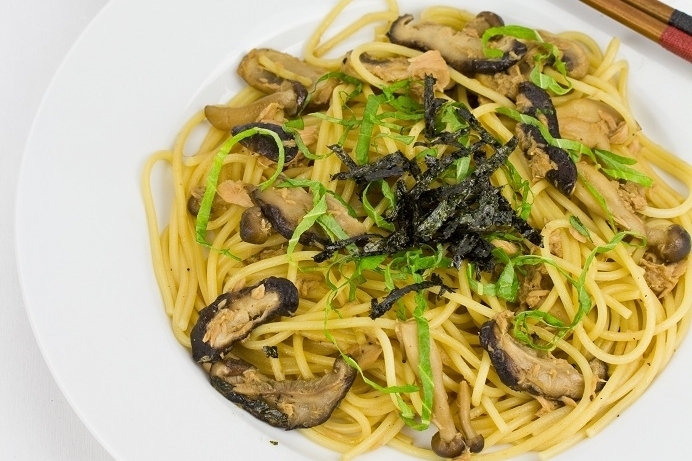 Mushroom and Tuna Pasta is one of the widely consumed Japanese style pastas that you can order at the restaurants or prepare in your own kitchen. Here is the recipe of this pasta dish. How to Prepare Mushroom and Tuna Pasta? At first, you need to take a large pot and add water into it. Bring water to a boil and cook spaghetti as per the instructions given on the package. Cook for 1 minute less, as you will again have to cook spaghetti later. Now, take a large skillet and heat oil on medium high heat and also cook mushrooms. 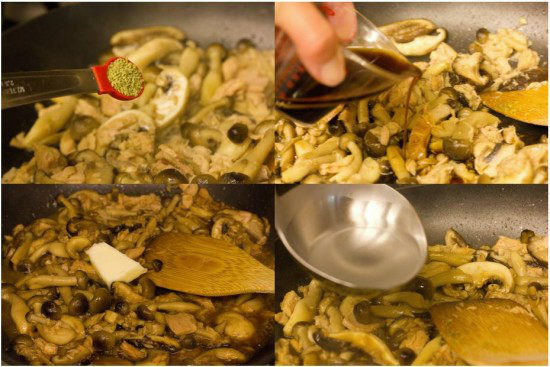 Once the mushrooms are cooked, mix in sake and allow it to evaporate while stirring it with wooden spoon. Now, you should add tuna from the can and mix. After that, add Mentsuyu, Konbucha, and butter and mix them all together. Now, one ladle of cooking water of pasta should be scooped and added as per the needs. Then, shake the pan well and mix in the drained pasta in the pan. It is time to serve the pasta with shiso leaves and Kizami Nori. So, if you are travelling to Japan, do not forget to taste the Japanese pasta delicacies. One of the aspects that are most fascinating about Japan is its food. 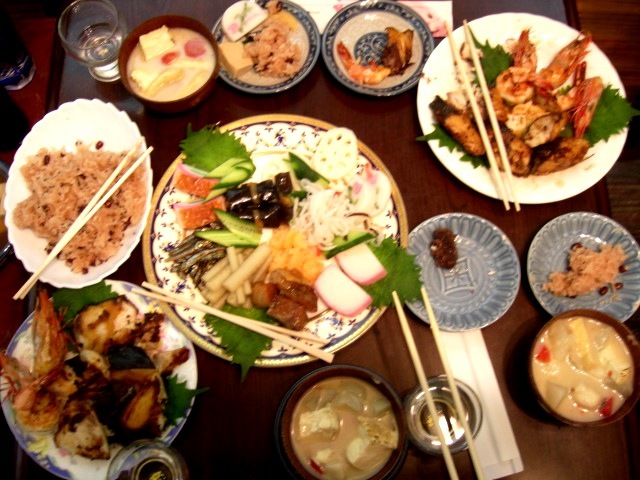 Japanese food is varied in flavour and preparation. Japanese cuisine is nothing like any of the occidental cuisines. Japanese food consists of oriental flavours, a lot of seafood and an array of different spices and herbs exclusive to Asia. After taking a look at the entries at the Asian Food Fest, you can easily make out that Japanese food is truly one of a kind and purely Asian in form, texture and taste. 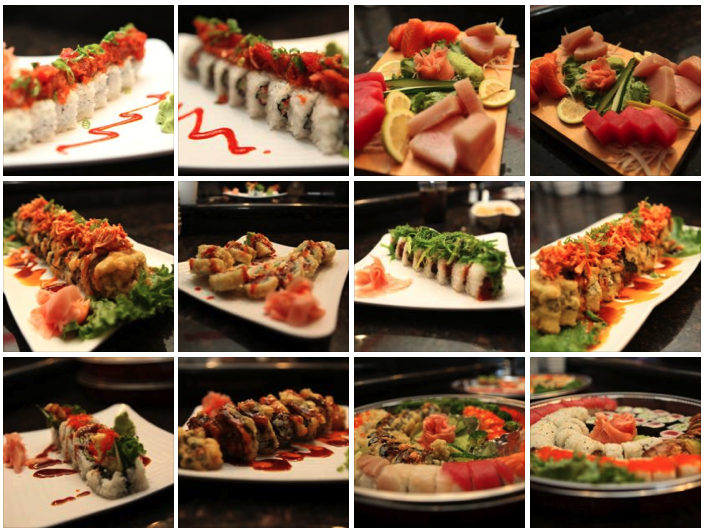 Japanese cuisine consists of a variety of staples from different kinds of rice preps to a wide range of noodle. Rice and noodles is used in a various number of dishes that are incredibly delicious. • Bacon Enoki Rolls with Teriyaki Sauce, etc. These are some of the dishes that you must try out if you visit Japan. Various Japanese food items are available easily at restaurants and street side stalls. Japanese food can also be savoured in other countries but if you want the authentic taste, you will only get it if you eat Japanese food in Japan or made by chefs who have received training from Japan. The dishes that were presented in the Asian Food Fest are reflections of how important food is in Japanese society. You can also read up about Japanese cuisine if you are interested in knowing more about it. Japanese dishes are known worldwide for the great taste and sumptuousness. People around the world devour different kinds of Japanese dishes. The world know Japanese people as great foodies but you will be surprised to look at their fitness levels, in spite of the fact that they have a big appetite. A lot of culinary Japanese dishes are popular among the people from every nook and cranny in the world. Though culinary dishes taste the best, foods at the restaurants are no less extravagant. There are several restaurants around the Japan and other parts of the world where you could taste the exclusive Japanese delicacies. These restaurants keep changing their menu in order to introduce new dishes. The chefs in these restaurants use fresh quality ingredients and produces incomparable dishes with their skilful technique and creative flair. One of the most delicious Japanese dish courses being made available to you at the Japanese restaurants is Hokkaido Course that includes appetisers, sashimi, Hokkaido Ginkarei Shioyaki, Char-grill Ohmi, Hata Tempura and signature prawn, Miso soup and Bara Chirashi Sushi bowl. The seasonal appetiser with this meal course consists of handmade noodles with foie gras, pumpkin tofu and vegetables with sesame sauce. The wild prawns used in the signature prawn and hata tempura give it a lovely sweetness. With crispy texture and savoury nature, the airy and tight tempura is a complete pleasure to devour at the Japanese restaurants. • The Halibut is a type of fish with versatile qualities and different flavours. Hokkaido Ginkarei Shioyaki is quite tender and goes well the teriyaki sauce. 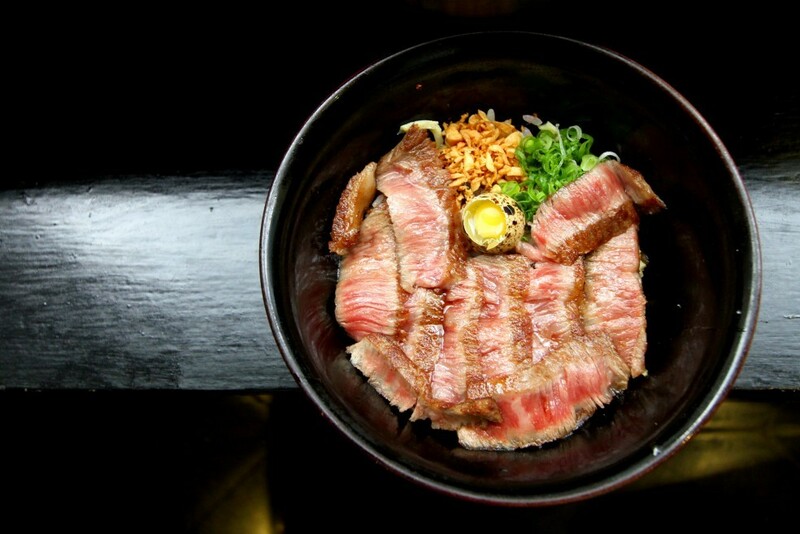 • The Char-Grill Ohmi is exceptionally tender and succulent and being served in cubes. The supple and tender fat cubes are slight crunchy and melts down in your mouth. It may look small in size but only a few cubes are enough to satisfy your beef craving. • The thick slices of salmon on Bara Chirashi Sushi bowl will make you fall in love with it. • The sushi lovers can go for Otoro set where you are served 6 pieces of sushi (2 pcs otoro aburi, 2 pcs otoro and 2 pcs Tai). All the fish pieces are fresh and cover the rice generously. • The Tai Nyumen Mushi is mainly a wild snapper fish. It is cooked in bonito broth with fish noodles. MSG is not required and noodles are crunchy. • You can also take a bowl of green tea. 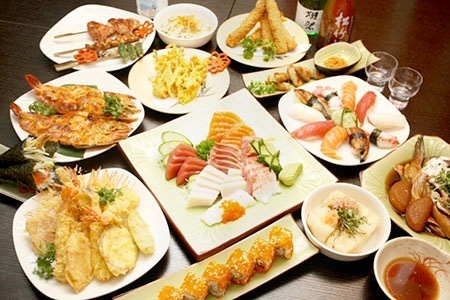 So, if you are visiting any Japanese restaurant in your neighbourhood, you will have plenty of dishes on your plate.